For those who do not appreciate the concept of minivans, when it comes to haul a good number of passengers, the 2019 Buick Enclave will make a good alternative. 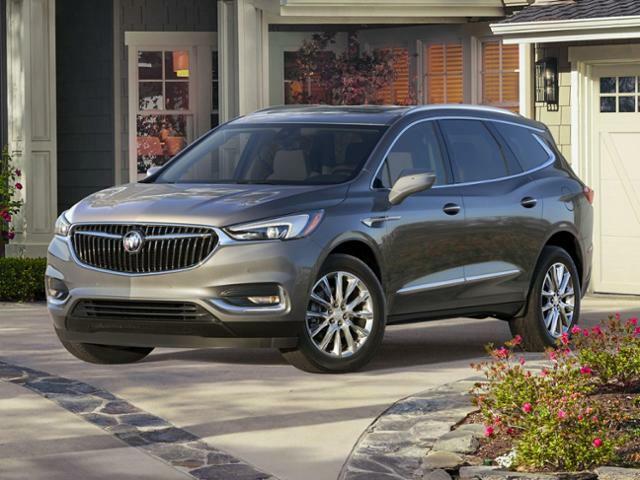 Buick has made it as a generously spacious family crossover that can carry seven hefty passengers with ease in its quiet cabin that is well-appointed with luxury features of the latest kind. At the Spring Valley Buick dealer showroom, the 2019 Buick Enclave looked handsome from every angle and makes a comfortable SUV crossover has got an interesting array of features, in every section. The new 2019 Buick Enclave looks more muscular and shapely after its makeover in 2018. The entire lineup of the 2019 Buick Enclave is consistent of trims named as Preferred, Essence, Premium, and Avenir. Each of these trims draws its required power from a 310-horsepower V-6 engine that is ideally paired to a 9-speed automatic transmission that is known for its smooth-shifting responses. The standard configuration of the 2019 Enclave is Front-wheel drive on all models while the all-wheel drive configuration too is made available except the base Enclave. With an updated suspension technology, the 2019 Buick Enclave is able to deliver a firm yet comfortable ride, that can handle the corners better than many of its rivals. All the imperfections of the rough roads get absorbed by its suspension, while the noise reduction system keeps the external sound away from the cabin of the Buick enclave which is nothing surprising from this brand. The first time you look at the 2019 Buick Enclave, it will appear to you as a model that exhibits a modern design from the turn signals to the tail lights, and everything looks well-proportionate with in a neatly framed structure. Even the silhouette of the 2019 Buick Enclave looks modernly designed among its segment of SUVs that maintains a smooth yet deadly appealing shape. At the front side the large grille gets surrounded by a chrome trim that are decorated with some highly accentuated components. Be it the LED headlights or the LED running lights, whether it is the grille or the nose, the 2019 Enclave speaks of a cleanly modern concept. Overall, the design of the 2019 Buick Enclave will make your eyes follow a single line that runs along the shape while the artistic Door handles, head and taillights, gas filling cap all well-aligned. When we stepped inside the 2019 Buick Enclave, at the Spring Valley Buick dealership, we found a comfortable and roomy space that invites you with its easy access for all the front- and second-row passengers. The third-row seats are class-exclusively spacious, while the second-row seats are cleverly designed to make way to the third row. Each feature inside the cabin works well, and the interior of the 2019 Buick Enclave will always make you feel happy and cozy with its premium materials. To sum up, the 2019 Buick Enclave makes a roomy alternative to the minivans that aren’t really that luxury oriented.